The clever combination of these processes in one system allows you to confidently locate the leak regardless of the ambient conditions. With just a few finger strokes, you can quickly and easily switch between the various applications. The user interface of the SeCorrPhon AC 200 is clearly and logically laid out. There are many extra functions available for complex location scenarios. The high quality piezo microphones with frequency response optimised especially for leak detection and the digital signal processing offer outstanding acoustic properties. 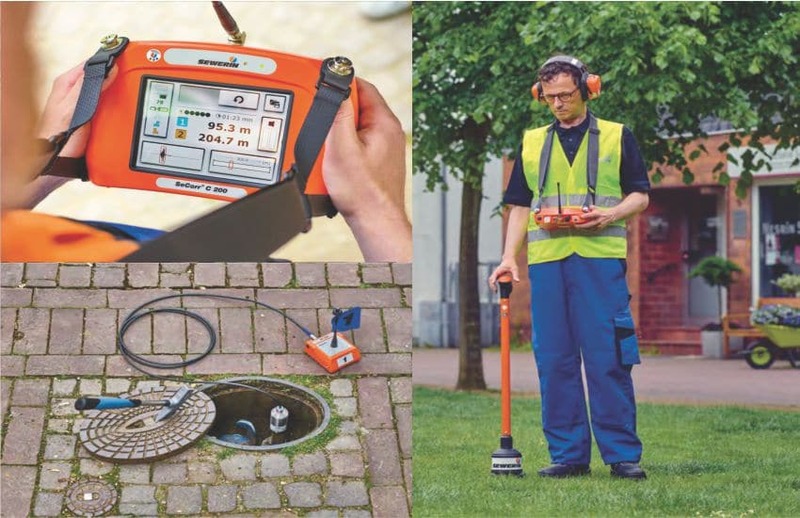 Thanks to the excellent sound quality and minimisation of sound interference, you can reliably identify and locate leaks even if the sound intensity of the leak is weak or there is significant ambient noise. At the touch of a button the SeCorrPhon AC 200 will apply tailored filters to the current noises and will automatically select the appropriate frequency ranges. Alternatively, you can set manual filter limits according to your individual hearing and select frequency ranges which accentuate the leak noise. This allows you to concentrate fully on the leak without any sound interference. In addition, you have the option of recording leak noises with the integrated audio player and comparing them with each other. 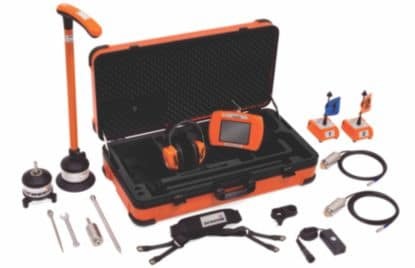 You can use these recordings for training or demonstration purposes or to create a noise database, allowing you to better evaluate leak noises on site. 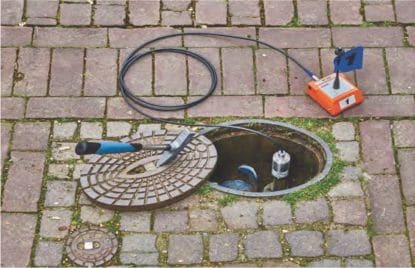 Location with a correlator involves simultaneously measuring the noises caused by a leak on the pipeline at two fittings (e.g. on slide gates or hydrants). Highly-sensitive microphones record the noises on the fittings; radio transmitters transmit the signals to receiver – the correlator, which then determines the run time difference, i.e. the time lag between the noises reaching the two measuring points. The correlator calculates the exact leak position using the entered pipeline length, the pipe material and diameter.